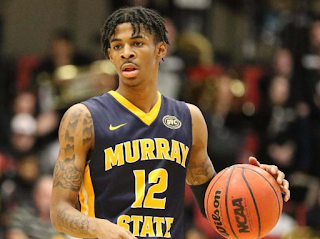 Ja Morant is one of the more explosive guards to come out of college in a decade. He's got a level of burst that reminds of an all-time great, Allen Iverson, or current NBA player De'Aaron Fox. At this point he looks like a lock for the top 3 and likely no.2 overall selection in June. Morant pushes the pace of the game and is at his best using his blazing speed to get downhill to the bucket. He's a creative scorer and an elite level dunker for his size. His ability to blow by defenders, combined with his ability to score with either hand makes him nearly impossible to guard. He's got uncanny strength despite his thin frame and he can finish through contact. He sees a lot of defenders and does a good job of creating for his teammates, averaging about 10 assists per game. 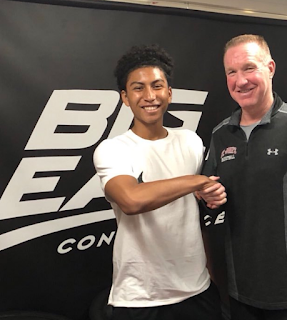 He shows pure point guard instincts, despite his knack for scoring the ball, and he seems to relish drawing the defense to him and finding the open man. He's got a filthy inside-out dribble and a blazing first step. His ability to elevate and throw it down in traffic makes him a highlight waiting to happen. His 3pt shooting is one area that could hold him back (or take him to the next level if he progresses like DeAaron). In his sophomore season he's hitting about 32% from downtown, which is a little better but not yet good enough. His shooting form is a bit flat and his outside shooting doesn't project to being the strength of his game. He plays like Allen Iverson (minus a fraction of a step) but he's taller than AI and better above the rim. If D'Angelo Russell had a turbo button.